The very first time I published a book (Minding Her Business), digital and physical, was through my Instagram account. I’m going to tell what I’ve learned: A great way to write ANY book that sells is to use social media to test your market. Build a niche audience > test engagement of content > create product based on results > sell. The sure-fire way to write a book that sells is to write a book for an audience that wants to read it. Sounds like common sense, right? Well, that’s because it is. In primitive days (the age before social media) this was achieved through mediums like active blogs with original content. Content is King because it gives people with a similar interest a place gather and connect. That said, what better way to pick the brains of a potential buyer than by gathering feedback from many of them at once? In this age of social media, the ability to “follow” and keep up with our favorite content creators has made it highly convenient for visitors to remember you. Your consistent presence and easy access gives you the opportunity to create a community of raving fans that will not shy away from telling you what they do and do not like about your content. Instead of wasting precious time creating something that will never reach the eyes of the masses, it’s best to reach the masses and test what they want to have their eyes on. So, first things first, get a social media account. I would recommend any social platform that allows you to write out long captions. Facebook, Tumblr, Instagram are all great platforms. In order to build the right kind of audience for your book, you need to post the right type of content and it MUST be original. I’ve seen a plethora of social media accounts that curate recycled content in attempts to shortcutting their way to the top. While recycled content will get you a lot of followers, it won’t get you any TRUE fans. A true fan in this context is a follower that doesn’t just follow you, but they actually keep up with you. They read every post and will go so far as to support you on any other social accounts that you have. 100 True fans will ALWAYS trump 10,000 followers as it is the fan that will eventually buy into your product when you finally launch one. Back to the topic at hand – posting original content. In order to do this, you must have an idea of the type of eBook you eventually want to sell. When I first started ‘Minding Her Business’, I had a general idea of the type of audience that I wanted to attract based on my overall vision. I created content similar to what would be in my book in small doses and stuck to it, every day. Because followers decide to follow you based on content, the more original content you show them, the more likely they are to follow you because they are a FAN of YOU. You will not get the same results if you are reposting content from other pages a majority of the time. When that happens, you are gathering an audience of a very broad niche. They may be a fan of a meme you posted that one time, or a fan of the way you did your makeup in that one selfie, but if your book has nothing to do with a funny meme, or makeup, or that meal you had at that restaurant, it will be VERY hard for you to market your book to those followers. So – stick to original content, at least 70-80%. The more original your content, the truer your fans. I would have never imagined myself writing a book in the past. The thought of putting together 100+ pages of words was very daunting. However, somehow I found myself writing 2200 characters a day (the Instagram caption limit) and it was all thanks to my followers. Having an audience that looked forward to reading my captions everyday contributed to my routine and motivated me to keep up this productive habit. Everyday I posted, I gained more fans which I knew would be potential purchasers of my product when finally released. Keep this in mind with every new follower you gain! Something I wish I would have done earlier on was to organize my posts by topic so that they were easier to find. Most, if not all, social media platforms have a tagging system in place. As I’m sure you’re probably write about a lot of different things on your platform, try tagging your posts with your handle and category so that you can find them later when you’re ready to compile your thoughts. Make sure your tags are as unique as possible. Something like “#relationshipgoals” will get easily lost in a blackhole of content. Develop a system for yourself using your handle, category, and/or a unique number. For example, let’s assume you plan on writing a romantic novel. You’ve then decided to create a social media account revolving around sweet short romantic quotes, poems, or short stories that you’ll be writing. For your first post, you decide to write a short story about a woman who encountered falling in love at first site after locking eyes with a man on a crowded subway. Because you are creating this content to create something great for your audience, you’ll want to keep track of whether or not your audience likes these types of stories. You then tag your post with #yourhandleTopicLAFS (love at first sight). You can use whatever system you’d like to organize your post. Now you have an easy way to go back to posts with that particular topic. My first eBook is essentially a well organized version of some of the best posts that I’ve published on my Instagram page – and then some. Considering this was content that had already been given the proverbial thumbs up from my audience, it made sense to package it into a product. This will work for you too! After you’ve organized posts organized, take note of the posts with the highest engagement. Use your tagging system to browse through the different topics and notice which ones your audience responds well to. This will be great material for you to add to your book. I knew I wanted an easy-to-use software that kept my book organized by chapter, section, and pages. Finding iBooks Author was an absolute dream for my first book as it allowed me to export my book to a PDF and publish it in the ibooks store. Great for the beginner – easy to learn how to use. Can’t export iBooks to another book format. In other words, iBooks Author files are only for iBooks Author. After I decided I wanted to release a physical copy of my book, I had to re-write the entire book in Adobe inDesign to meet my printers requirements. 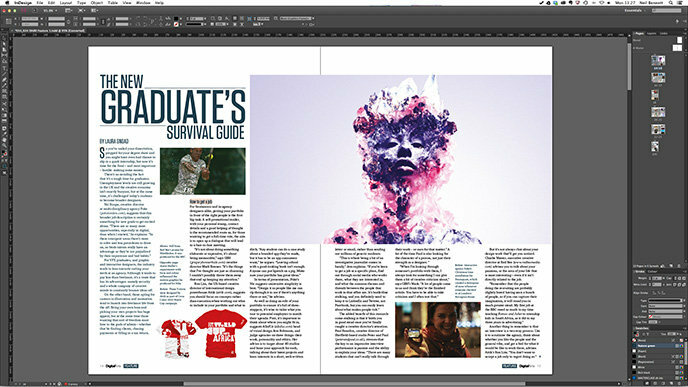 This is actually why I only write my books now in Adobe inDesign. This is a powerhouse software for making THE most professional books, both digital and physical. 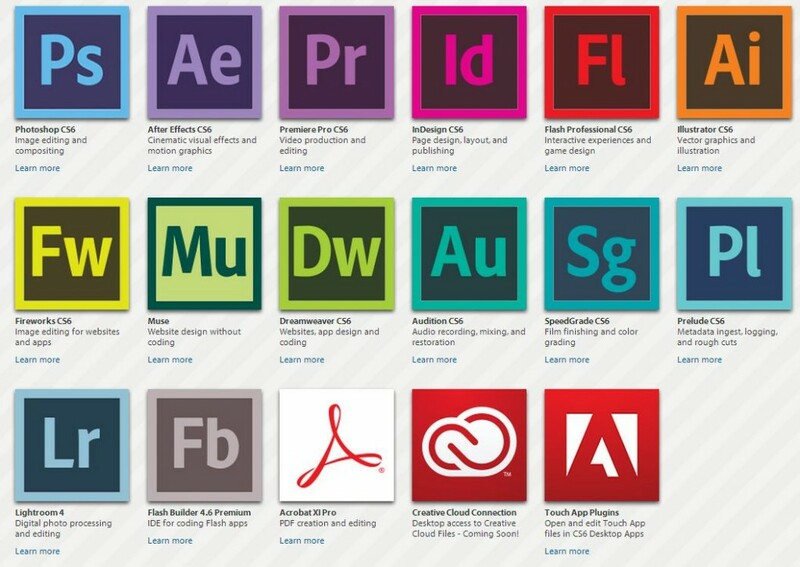 As an Adobe product, it interacts well with photoshop and illustrator and allows seamless import of elements from one platform to another. 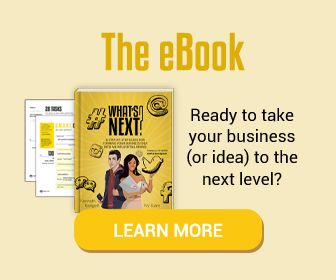 We used Adobe inDesign to create our What’s Next Guide interactive PDF. Very flexible, customizable, and transferrable across various software. Although there are no built-in templates to start off with, you CAN download book templates online. Not quick to understand how to use, but when you do, you’ll be glad you did. I always say, you should never let lack of knowledge deter you from providing a quality product – you can always learn. I had no idea how to use this software before I really needed to, now, it’s all that I use. If you’d like to get an idea of how to use it before you proceed with getting the software, here’s a video to show you how easy it is. 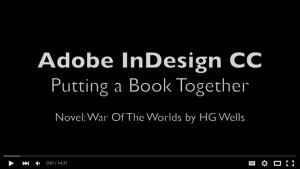 This is a 5-part video series that shows you how to create a book. 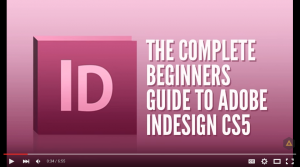 Full course on how to use Adobe inDesign This entire 13-video course is ideal for getting to know the important features of Indesign should you want to create more than just a book. The links and materials are given in the videos description. 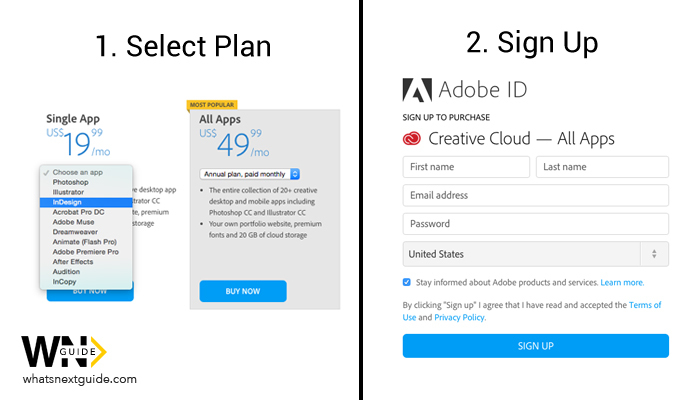 To get Adobe InDesign, it costs $19.99/month through Adobe Creative Cloud. Now, because this method of creating a book that sells has to do with creating content on social media, you may want to consider having access to as much professional software as possible. I get asked all the time what mobile app I use to create my posts. I DO NOT use any mobile apps to create them, I only use Photoshop. I will go over how I create them in another article, but if you are considering making awesome content for your social platform, consider getting photoshop along with indesign. 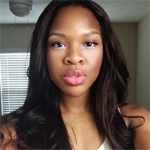 Payhip – I use this to sell my Minding Her Business eBook in PDF format. Just upload your files, book cover, description, and set the price. You get paid instantly through paypal for each transaction and PayHip only takes a 5% fee for their services. 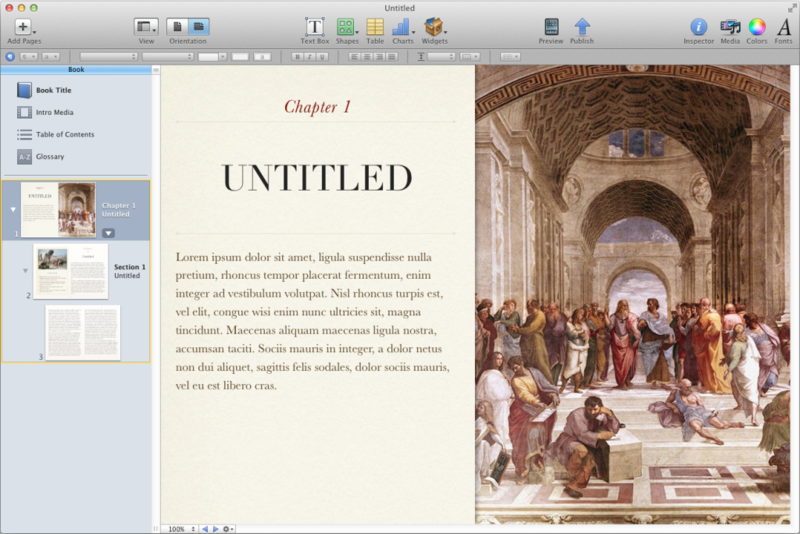 iBooks – Published directly through iBooks author. Giving my followers an easier, trusted way to purchase my ebook increased my sales. You’re paid Net 45 through ibooks by direct deposit. CreateSpace – Many of my followers preferred having a physical copy of my book rather than digital. CreateSpace makes it easy to publish and distribute your book to amazon – A trusted platform that many followers likely have an account with. You’re paid through direct deposit approximately every 30 days. This varies based on time of purchase and currency. GumRoad – Kenneth and I currently use this platform to sell our Whats Next Guide. The publishing process is similar to Payhip, however we switched from PayHip to Gumroad because it offers the option to pay via CC as well as PayPal. Giving the extra option to a potential buyer makes it easier for them to by, thus, increasing your conversions. You are paid via direct deposit or PayPal every Friday (so long as you’ve made at least $10 in sales). This is the easy (and fun) part. Because you’ve already created a platform to market, you can then use it to promote your new product. Be sure to mention on your sales page the topics included in the book that received the most engagement on your platform. Have fun with the process and test, test, test! Different posts, different landing pages, different call to actions – all of these things matter! Have you received clarity? – Ask me Anything! Have any other questions about this method, leave a comment below! Creator of Minding Her Business. Webpreneur, Web/Graphic Designer, 2x Author, Event Host, Life Coach, and Social Influencer in the Business Women and Motivational Niche.